China has been undertaking a series of moves aimed not only at shoring up its domestic economy but at inviting greater foreign investment. 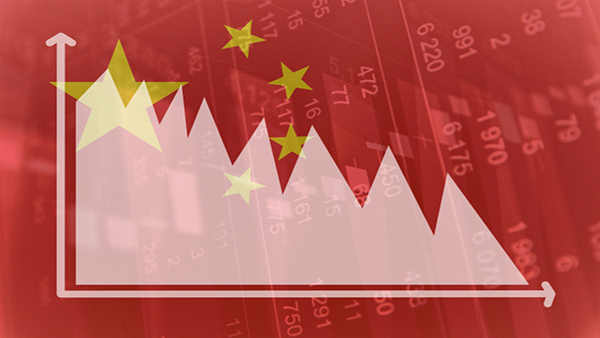 Investors can either look at the devaluation of the Chinese currency, which sent the renminbi to its lowest rates versus the U.S. dollar, causing a furor in the markets and the global economy, as just that. Or, like Teresa Kong, portfolio manager at Matthews Asia in charge of the firm’s Asia Strategic Income fund, they can view it as part of the course in China’s trajectory toward the liberalization of its capital account. The prevailing narrative, in Kong’s view, has vilified China, one month before Chinese President Xi Jinping’s visit to Washington, the currency depreciation has created added tensions between the U.S. and China, painting the devaluation of the renminbi to be a calculated, deliberate move by China. To Kong, though, that argument holds little water, since China has been undertaking a series of moves that are not only aimed at shoring up its domestic economy but also at inviting in greater foreign investment into the country, all of which have been appreciated by the global investment community. Overall, the changes, including the change in currency regime, as Kong views the recent events, can only benefit both China and the global economy in the longer-term, given how China’s importance as the main engine of global growth. China has shifted course toward a “managed float,” Kong said. This is the next logical step in line with the country’s reform agenda, she said, which has been on a fast course the past nine months and includes such moves as the cross-boundary investment channel the Hong Kong-Shanghai Connect and policy moves by the government to shift bank lending away from state-owned enterprises to privately owned small- and medium-sized businesses. There has also been a further opening of the interbank market to foreign institutions. The timing of the currency regime change is very much driven by China’s desire for the renminbi to be included in the International Monetary Fund’s (IMF) Special Drawing Rights (SDR) basket of currencies. The IMF has explicitly stated that the Chinese currency is not a freely floated currency, “so by changing the regime, things are moving much more in that direction,” Kong said, and China will get its currency to the free float by managing it. In the short-term of course, the decreased value of the renminbi has implications for Chinese businesses. Those Chinese companies that haven’t hedged properly and have large currency mismatches between their assets and liabilities will suffer, Kong said, and the lower value of the renminbi will increase both volatility and service costs. Chinese property and large industrials that import commodities for domestic consumption are likely to suffer the most in the short-term, while Chinese exporters stand to gain. The lack of renminbi volatility, and the perceived one-way appreciation of the currency have created in China a sort of moral hazard, where corporate chief financial officers were incentivized to profit from having assets in the local currency and liabilities in U.S. dollars. The change in the currency regime will change all that, Kong said, and looking ahead, the more flexible exchange rate will mean that Chinese companies will be forced to become much more sophisticated and prudent with respect to assets and liabilities, she said, and they’ll acquire greater discipline and risk management. This will make them more attractive investment options, and China’s potential inclusion in the SDR basket will add to that.